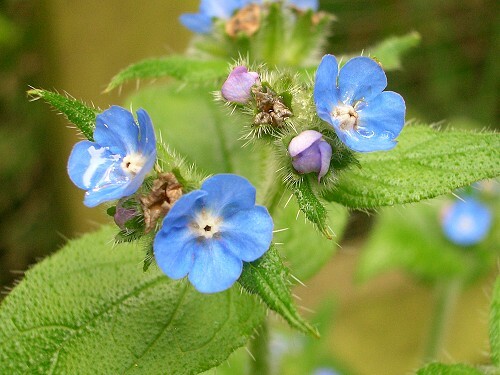 Green Alkanet, sometimes called Evergreen Bugloss, appears in woods and hedgerows. It likes damp and shady places. 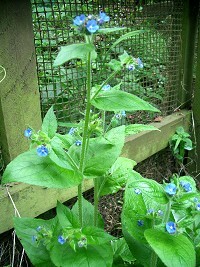 The leaves are rough and hairy. The flower is made up of 5 blue petals joined at a white centre. 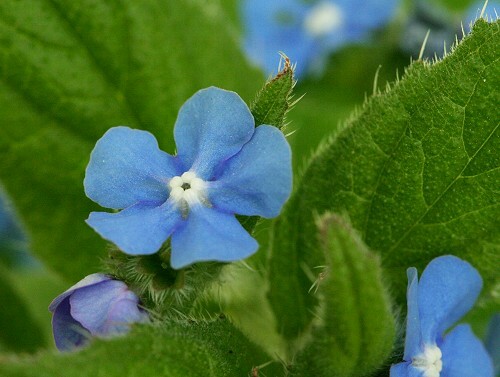 The flowers are edible, but are mostly used as a decoration in drinks and salads.